Sessions for painting were hard to come by so I decided to put together a WH Fantasy Treeman from the Wood Elves army. I really liked the model when it first came out last year (or was it the one before?) and secured myself a set for building in the future for my cabinet. The sculpt is quite nice and has a ton of details, especially if you pick the Treeman Ancient combination – there’s a plethora of antlers, twigs and leaves practically everywhere. Reminds me of the spiky Chaos units but these are far more fragile. Below is a set of pics of the sub-assemblies I put together. The most regal head among the choices. I almost opted for the regular Treeman but stuck with the Ancient. The only change I intended in the model, the sword from the Durthu variant. No problems here. The twigs, antlers and leaves are super fragile. Handle with care! While trying to “convert” the model I accidentally misaligned the legs of the mini. 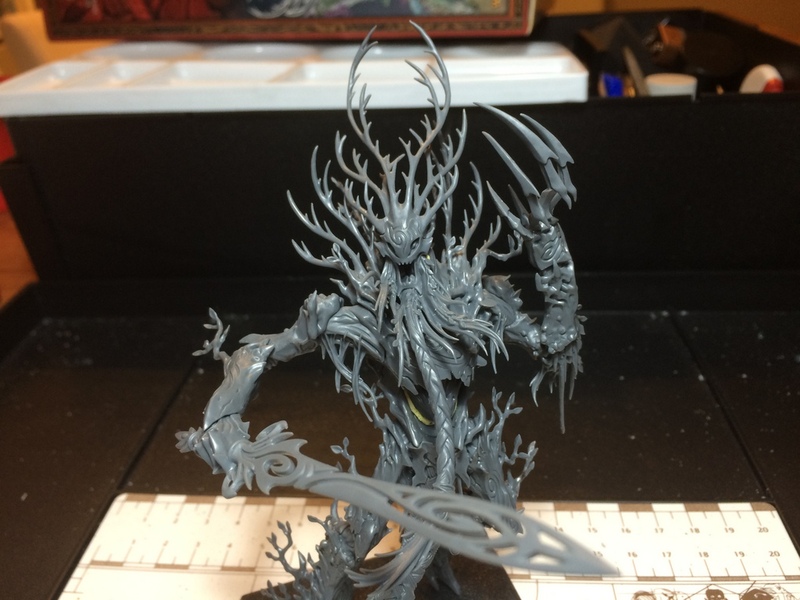 I guess the pose I liked from the “Durthu” variant did not really go well with the “Treeman Ancient” build I started with. So, warning to you folks who want to change poses – stick to the leg assemblies stated in the instruction manual if you don’t have anything crazy in mind. Luckily for me the pose now suggests an “advancing” Treeman, and it works well with the sword wielding, magic blasting force of nature I had in mind. Phew! Also of note is the fact that after the assembly you get almost a full sprue of bits left over. The parts with the mushrooms and the vines can perhaps be used as growths and tendrils for Chaos and Tyranid units – I’m guessing I’ll use them in bases in the future. The heads are fully interchangeable regardless of the Treeman build you pick so go crazy with magnets if that’s your thing. 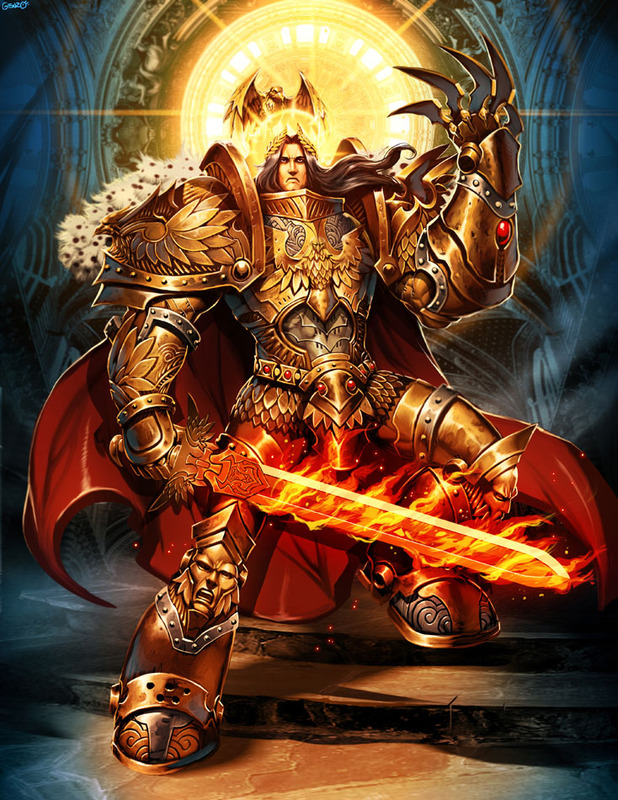 And hey, doesn’t he look like the God Emperor of Mankind now? Here’s to hoping that I can work with a brush in the coming days but I get a hunch I’ll have some trouble – international fair next week and set weekend plans don’t go well with this! Let’s see if I can get some significant progress on the Lychguard to be able to move on to the community choice models. I got myself a Treeman back in October (ish) last year, it’s an incredibly beautiful model, but I have serious doubts about my skill to paint him! Excited to see what you come up with on this chap, anyway! I hope everything is well Roemer. 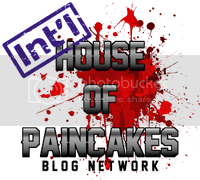 Been missing your posts! My Condolences for the family troubles and tragedies. I’m looking forward to seeing you paint this model, as the pose you’ve chosen is really amazing.